Patchwork Angels Quilt Shop is a full-service quilting shop located in the village of Endicott, New York. 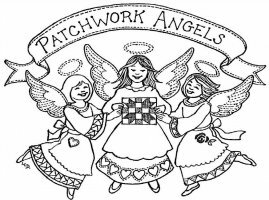 In our present location since January 2008, Patchwork Angels provides over 1,000 bolts of fine quilting fabrics, a large variety of notions, patterns, & books, as well as a full schedule of quilting classes. We are a Janome Sewing & Embroidery machine dealer. We also offer weekend quilting retreats with overnight accommodations for up to 7 and sewing space for up to 10 quilters in the classroom, excluding the instructor's table.